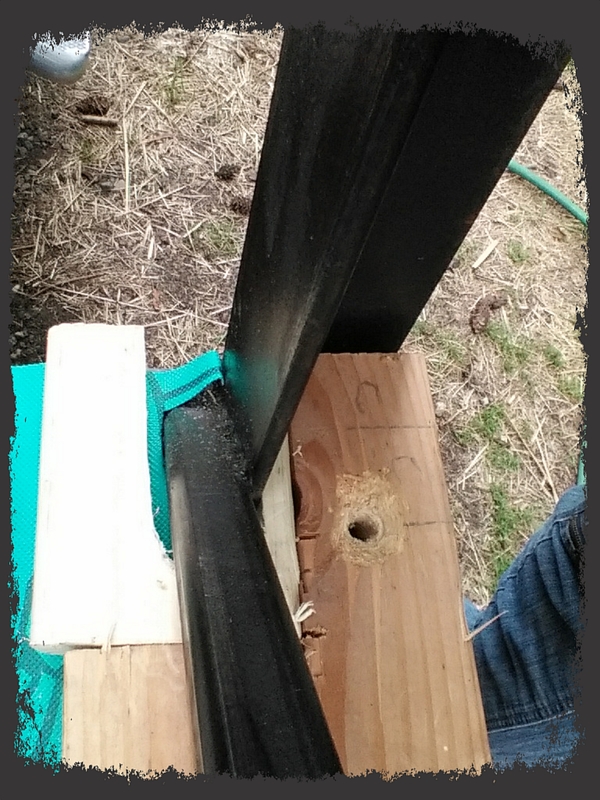 I did come up with a reasonable (but somewhat goofy-looking) way to work around the metal bracing. I took lots of pictures, including the failure of my first attempt. I worked all day ~ about 7 hours ~ and although I didn’t have enough insulation on hand to put on the sub-floor, I did get a lot of fiddly things done. Once again I have to say, it’s amazing how quickly a simple plan can turn difficult. 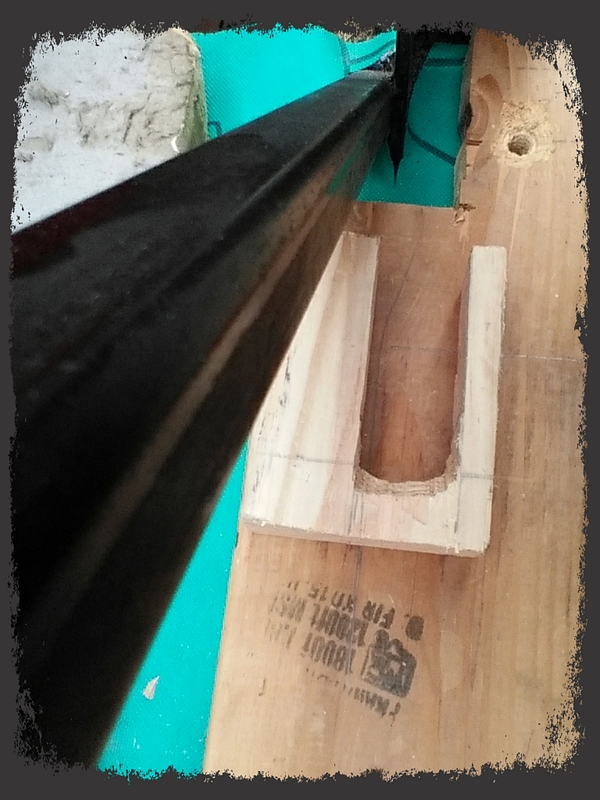 Making sure the bolt holes stayed lined up properly while hanging the joists..wow…I had to re-align them again and again and again….and It took a couple hours just creating a workable solution for the area around the metal braces. 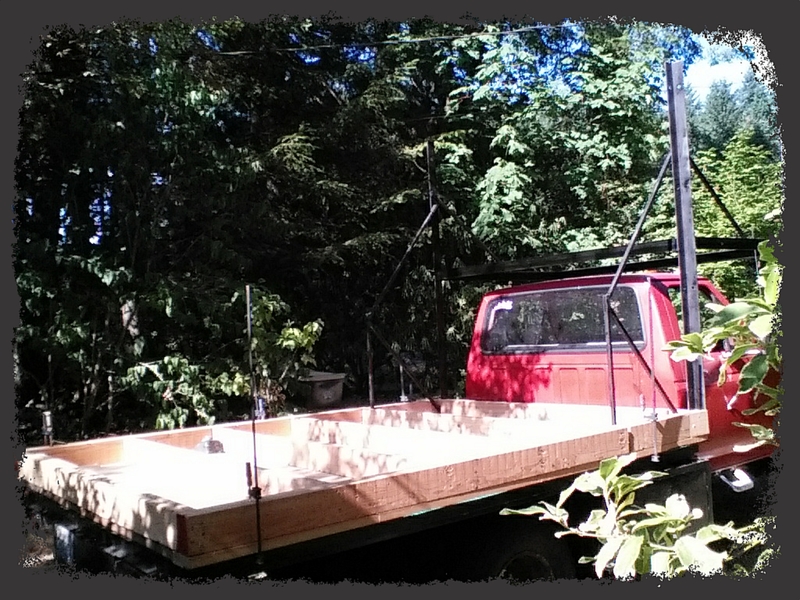 I also took a break from building and washed the tin roofing panels I’m planning on painting and using on the exterior. Hot day, cold water, very nice! To finish the insulation, I now have to start dismantling the original Oliver’s Nest. I’m at peace with that. I’m just worried that it will be a complicated and time-consuming process. Plus, I’ll have to be on a ladder, and I have a trust issue with ladders these days! Speaking of which, my ankle is healing well, and doesn’t hurt all the time (so thankful!). My shoulder is also much better, and I have most of my range of motion and strength back. So good to not feel like an invalid! 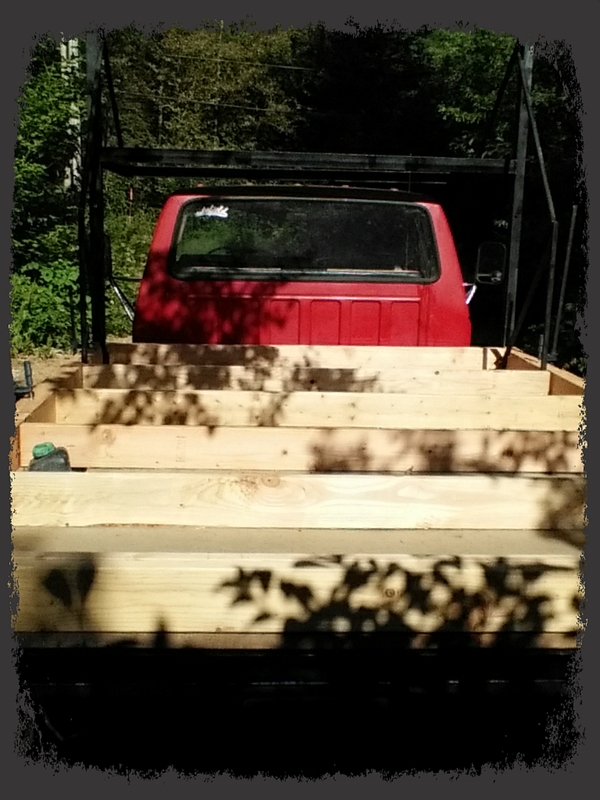 But…getting on that ladder again….and working with power tools overhead…honestly, I’m scared and not ashamed to admit it. A little rough, but I thought this would work. Trying to get it into place but…. Second try was sturdier, and fit, kinda. Well enough, anyway. 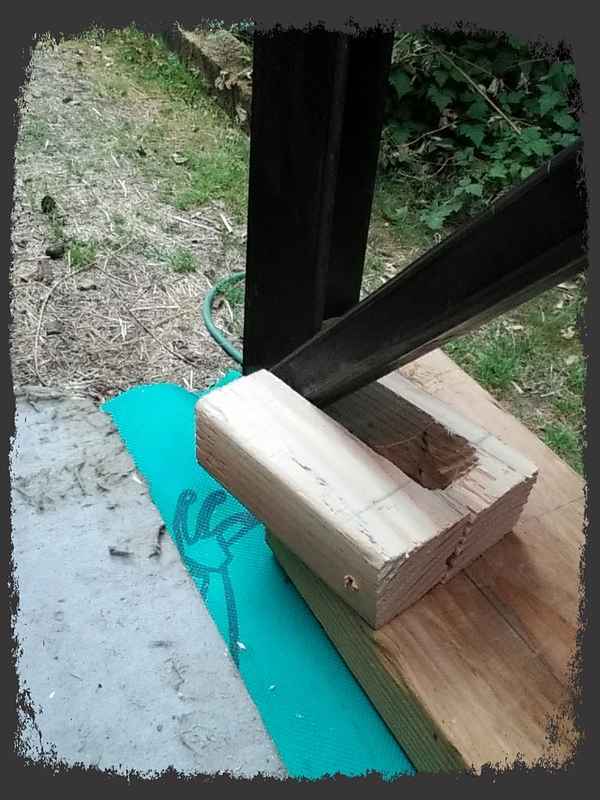 Double-up 2×6 scrap wood fit well in the odd space on top of the little wood piece shown in the previous picture. Even without the cab-over portion, it’s a roomy space. 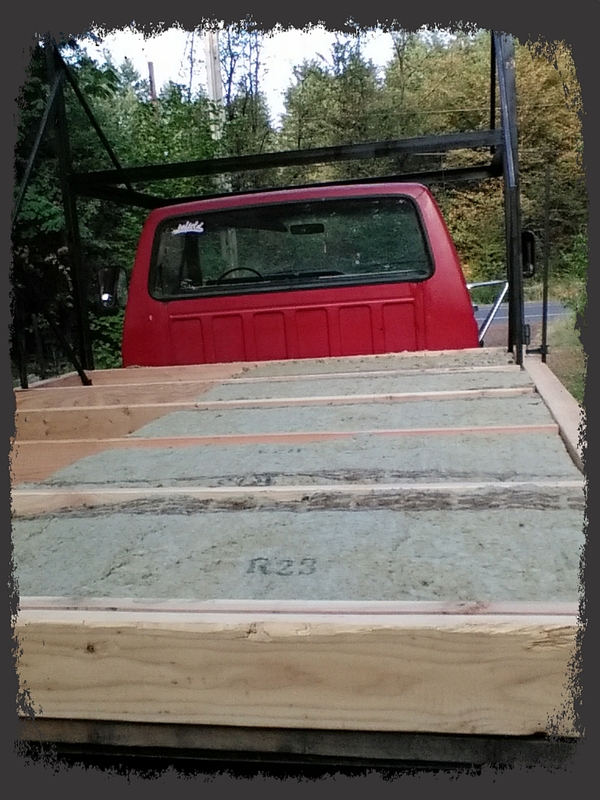 This is R-23 Roxul insulation, and will help with both insulating and as a sound barrier. 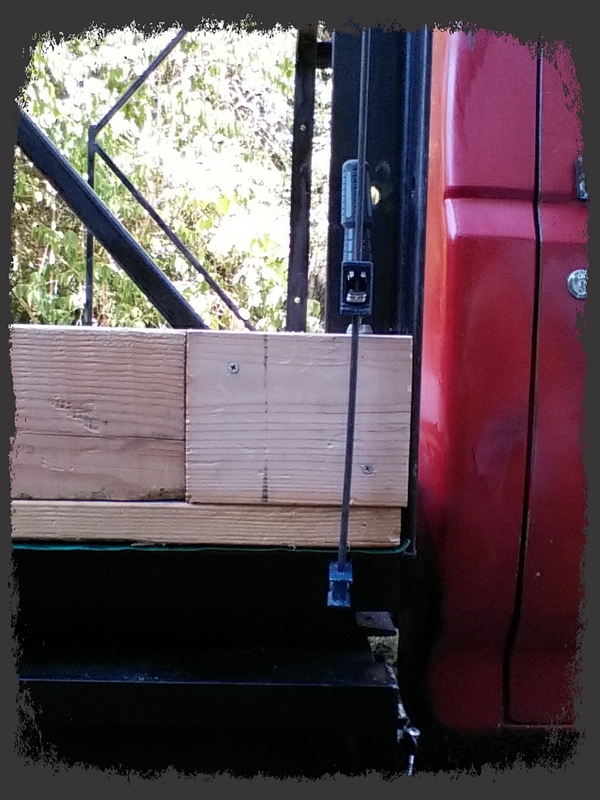 I as well do not want you to climb a ladder to salvage wood for your new project. Is there a supply place that I can put some money on account for you to do this job? NO do not get on a ladder by yourself girl………when you are old like I am it will bother you more if you don’t take care of yourself. Don’t risk your life…..leave the place and maybe you will return one day to finish it when you are in a better place emotionally and physically. Ah, Diane 🙂 So very kind! I will be very very very careful. I have a lot of money poured into the original Oliver’s Nest, and I actually am probably going to have to abandon it. I at least want to get at the insulation and the EPDM. 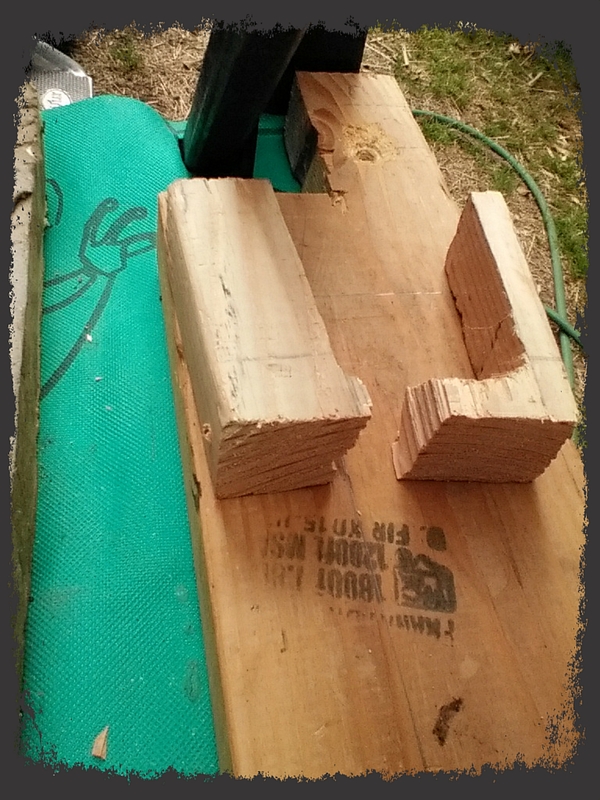 The wood is all too well attached to salvage. I promise I will be careful, and I won’t work when tired and overheated, as I was when I fell.